Pre-Paid Gratuities on Middle East Cruises! Select Middle East cruise reservations qualify for Pre-Paid Gratuities for the 1st & 2nd guest in each stateroom. That's a big savings on a cruise vacation! Go to Step 3 of the online booking process to see which categories qualify. Onboard Credit Sale on Middle East Cruises! Get an Onboard Credit when you book a Middle East cruise with us on select cruise lines. The value of the Onboard Credit depends on the particular cruise and accommodations you book. Onboard Credit values are listed on Step 3 of the online booking process. Special Prices & Onboard Credit on Middle East Cruises! Book a cruise with us and you'll get the best deal possible, regardless of the ship or sail date! 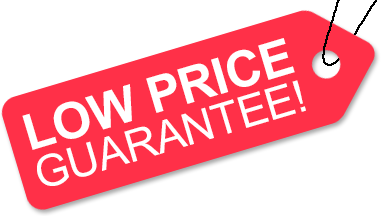 Because of our "Low Price Guarantee," nobody beats our cruise prices, so look around and you're sure to find the best cruise deal possible when booking with us! Plus, select sailings get an onboard credit in addition to the special price. Get a Gift Card when booking Middle East Cruises! Book with us to get a Gift Card for the store of your choice. The value of the Gift Card depends on the particular cruise and accommodations you book. Gift Card values are listed on Step 3 of the online booking process. Our special offers may not be combinable. Certain restrictions apply to each offer. View terms and conditions during the online booking process. Applicable cruise lines for each sale are listed in the promotional boxes above. One of the more exotic cruise destinations, the Middle East is filled with historic attractions and rich culture. Among the many things that you may be able to do while on a Middle East cruise (also referred to as a Holy Land cruise by certain cruise lines) are visiting the ancient temples, mosques and churches of Israel, the Egyptian pyramids, taking a camel ride in the desert, shopping in interesting markets and stores, enjoying the tasty local cuisines, and visiting oasis-like modern cities such as Dubai and Abu Dhabi. A Middle East cruise is typically around 7- to 14-nights in length (depending on the particular cruise line), but can be longer. Some of the countries that you may visit while on a Middle East cruise are Israel, Egypt, Turkey, Cyprus, Oman and the United Arab Emirates. Included in some Middle East cruise itineraries are ports of call in Mediterranean countries such as Greece and Italy or even ports in India, making for very nice cruise itineraries. American Discount Cruises & Travel is proud to offer the best deals possible on all Middle East cruises booked with us. Backed by our "Low Price Guarantee," and powered by our team of expert travel agents, we're sure to exceed your expectations when booking your next Middle East cruise! The holy land of Jerusalem, whose Old City is home to some of the most important sites in the histories of many major religions, can be visited during a Middle East cruise that ports in Haifa, Israel (which itself is a great port of call). Jerusalem is about 80 miles from Haifa, but is well worth the ride! Among the many attractions that one can visit while in Jerusalem are The Church of the Holy Sepulchre, Mount of Olives, the Western Wall and Dome of the Rock. One of the most popular tourist attractions in all of the Middle East is the Great Pyramid of Giza, located nearby Cairo, Egypt. It's one of the "Seven Wonders of the Ancient World" and is right by a couple of other ancient pyramids, as well as the Great Sphinx of Giza (another famous attraction, that's a huge statue of a lion's body with a human head). Most Middle East cruises that port in Egypt feature shore excursions to this amazing area of interest. The ultra-modern city of Dubai, located in the United Arab Emirates, is home to the world's second-largest made-man marina and one of the most impressive (and contemporary) skylines in the world. While on a Middle East cruise that includes Dubai, you'll be able to enjoy upscale dining and shopping, as well as great beaches with various water sports. Home to some of the most luxurious hotels in the world (including Burj Al Arab), those taking a cruise that departs from Dubai might want to consider staying there a few nights prior to the cruise to really have an opportunity to treat themselves. Avalon Middle East River Cruises - Call for details! Lindblad Middle East Cruises - Call for details!